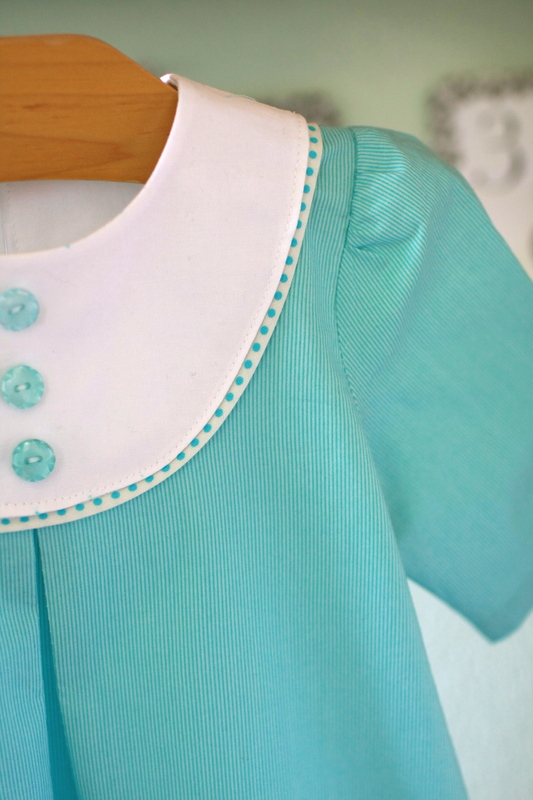 I’m going to backtrack and write about the dress I made during Kid Clothes Week Challenge on Elsie Marley. You know how things become much more desirable when you think you can’t have them? That’s my story with the Playdate Dress pattern. I think this pattern went out of print around the time I became obsessed with Oliver + S patterns. My obsession consisted mainly of spending ridiculous amounts of time sifting through photos in the O+S flickr pool and fantasizing about what I might someday like to make. I really hope no one has been secretly keeping track of the hours I’ve spent doing this, because I wouldn’t want those totals to get out. 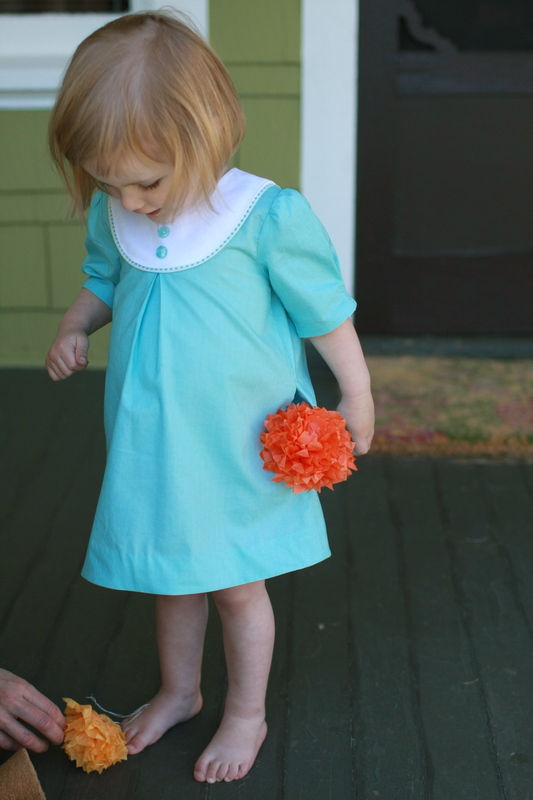 Anyway, the Playdate Dress was never my favorite pattern, but there were a couple versions of the dress I kept returning to. Every once in awhile I’d decide I needed the pattern, search for it online, not find it, and move on to something else. But I found it during my latest search and figured it was probably the last available copy left on earth, so I paid full price, plus $6.50 shipping. When it arrived a couple days later I put everything else on hold – the pattern only goes to 3T and Lila is already two. I wanted to make sure I got my money’s worth. I loved the idea of a white yoke with a Japanese print like these two fabulous dresses, but in the end I couldn’t bring myself to cut into $17/yard fabric for a pattern I was making for the first time. Especially a pattern I wasn’t all that confident I could complete (I had never attempted three scissors). So I went with something plain, because I liked the robin’s egg blue and the subtle stripes, and because sometimes plain works better than the bold prints I’m normally drawn to. I wasn’t planning on adding the optional flat piping, but I found a polka dot that matched nicely and decided to use it for the hem facing and the piping. I had read that people had trouble with the yoke, so I was expecting it to be tricky. Constructing the yoke itself went really well, but fitting it to the dress was challenging. The yoke seemed too big for opening on the dress, and there was a moment when I was ready to rip the yoke apart to figure out what I’d cut or sewn wrong to cause the pieces not to fit together. Luckily I resisted that urge, and what finally worked was picking up the yoke and the dress and bringing them to meet each other, rather than trying to join them together on a flat surface. If that makes any sense. After working that out, the rest of the dress went together without any trouble. With pattern tracing and cutting and sewing and hand sewing the hem, it took me several nights to complete the dress, and it ended up being the only thing I finished for KCWC. Lila seems to like the dress (I think it’s those side seam pockets), and I really should have cut it to a 2T length, because I can tell it’s going to be short on her very soon. Oh well, I’ll make her another one. And I think I’m ready to break out the Kokka for the next round. Love the stripes and polka dots together–perfection! i had to go get the pattern after i saw your version. i love the subltety of the dress. can’t wait to see the kokka version. I too had the finding the out of print pattern dillema. Now my girls are 1 and 2 and I need to get on making this pattern before they outgrow it. 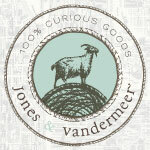 I must say I love your pictures! 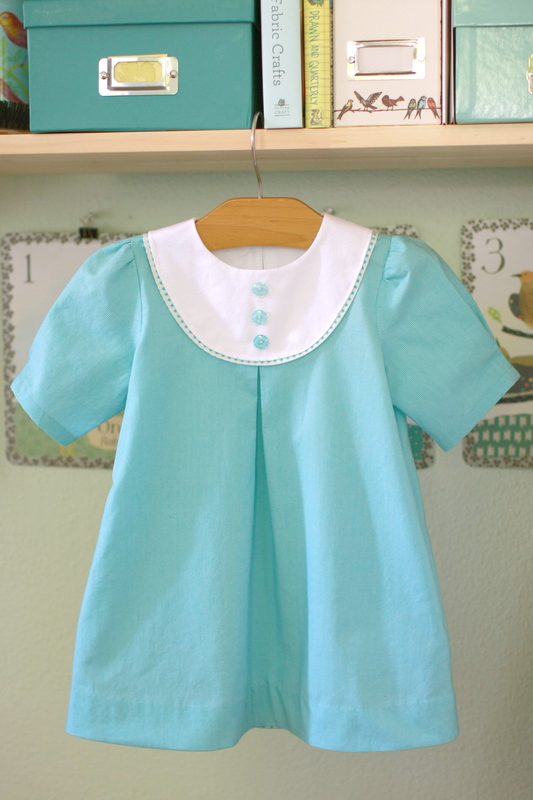 And that little dress is just too cute! by the way, thanks so much for this. it inspired me to try the pattern!